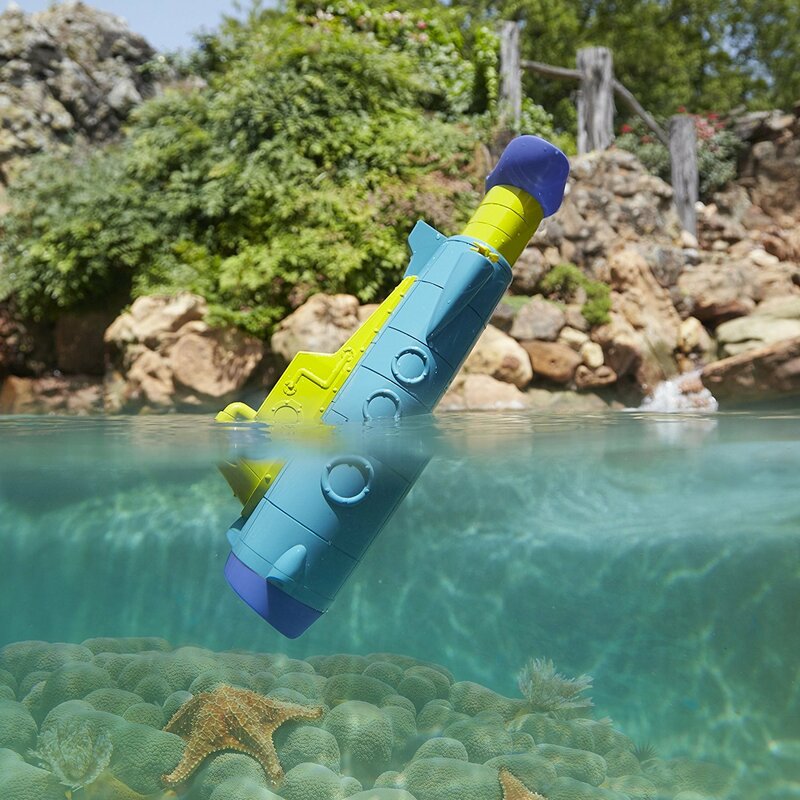 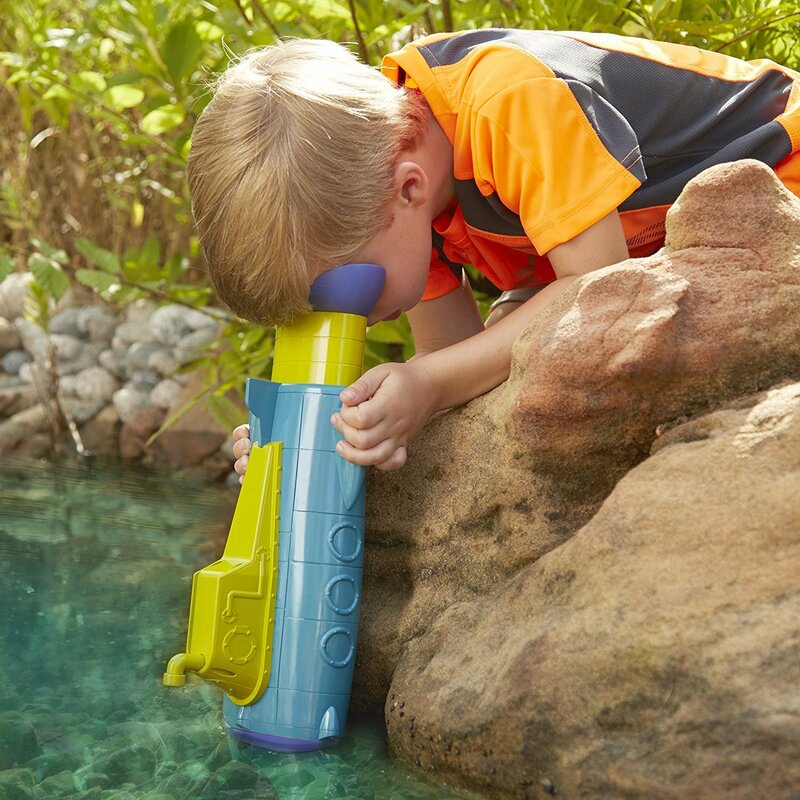 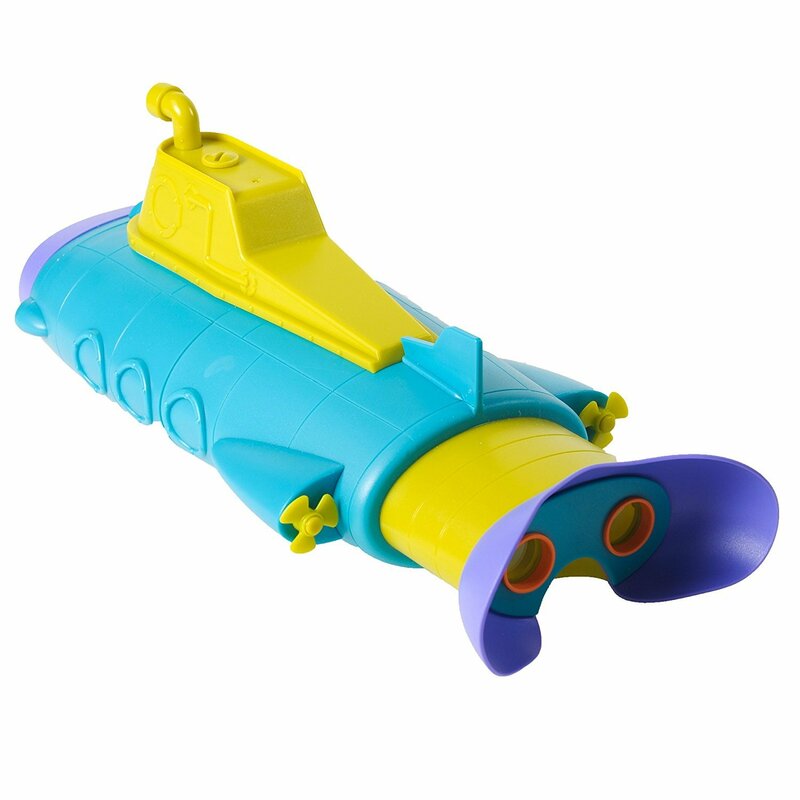 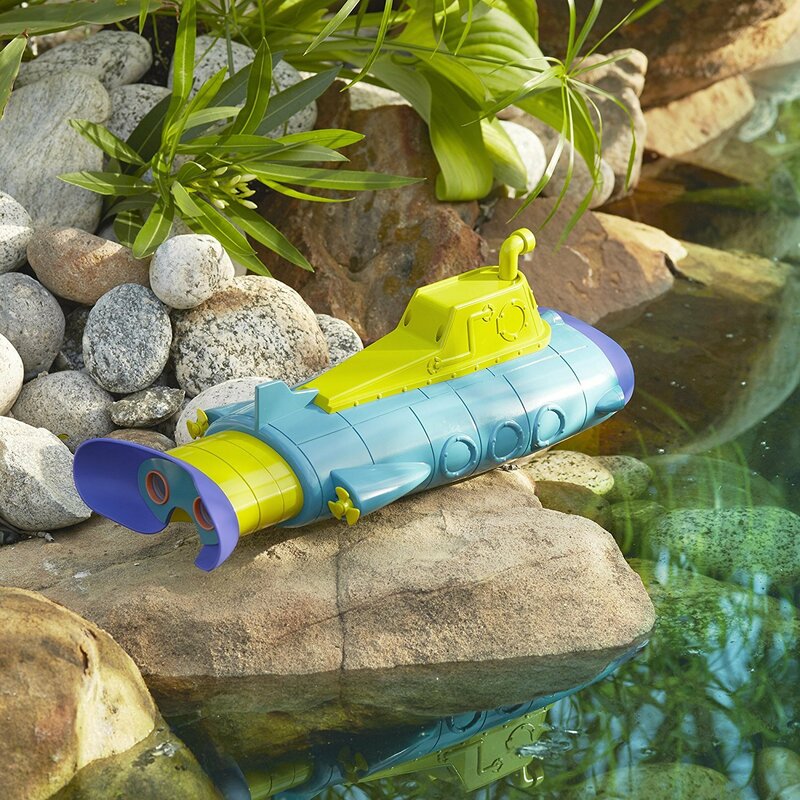 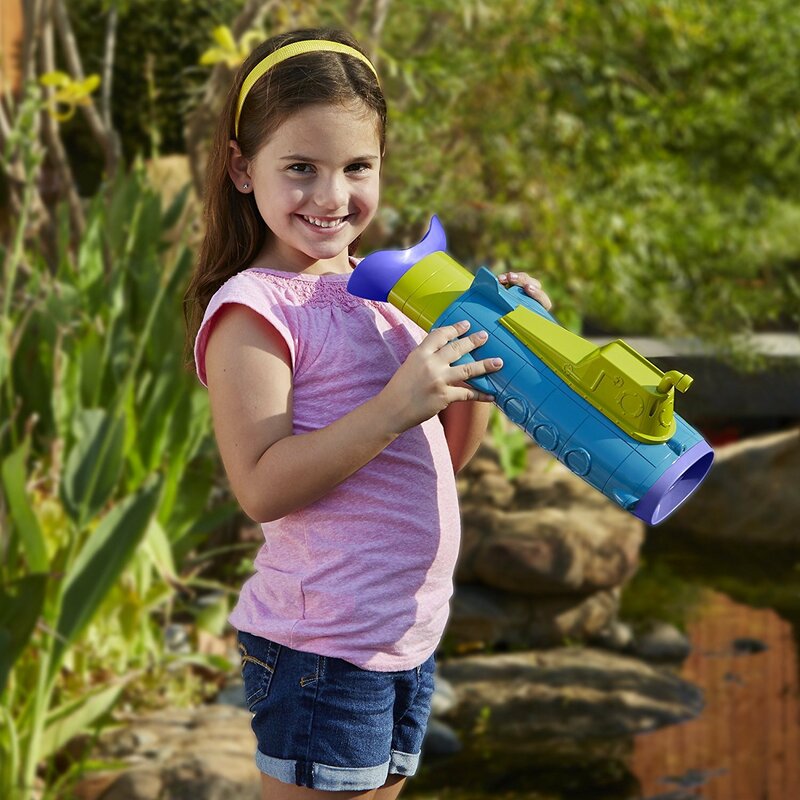 Kids can see what’s underwater—without getting wet! 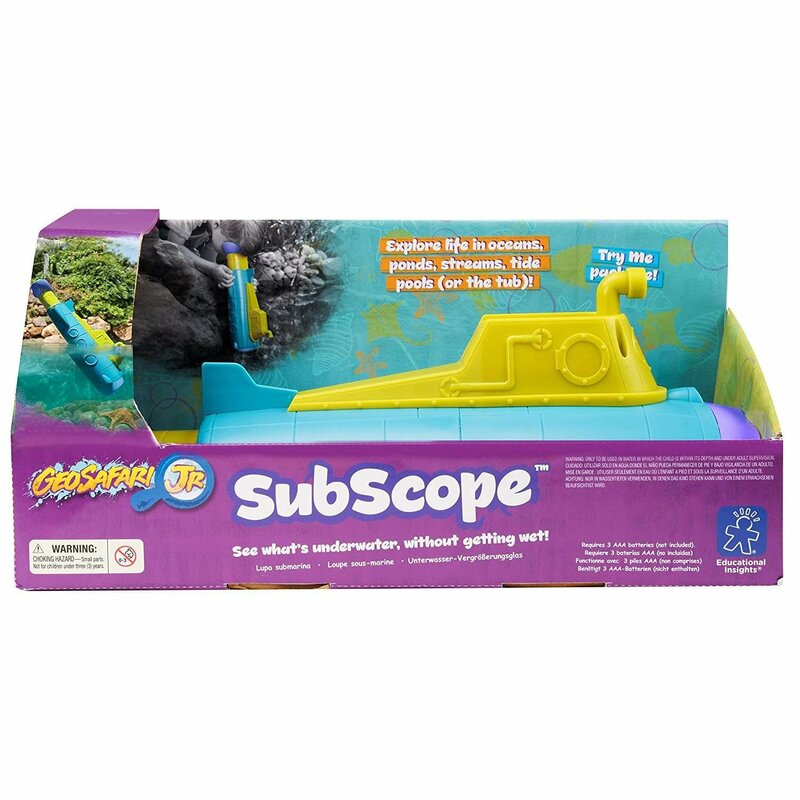 Includes a sturdy, focus-free, water-resistant scope with 2x magnification and 3 LED lights. 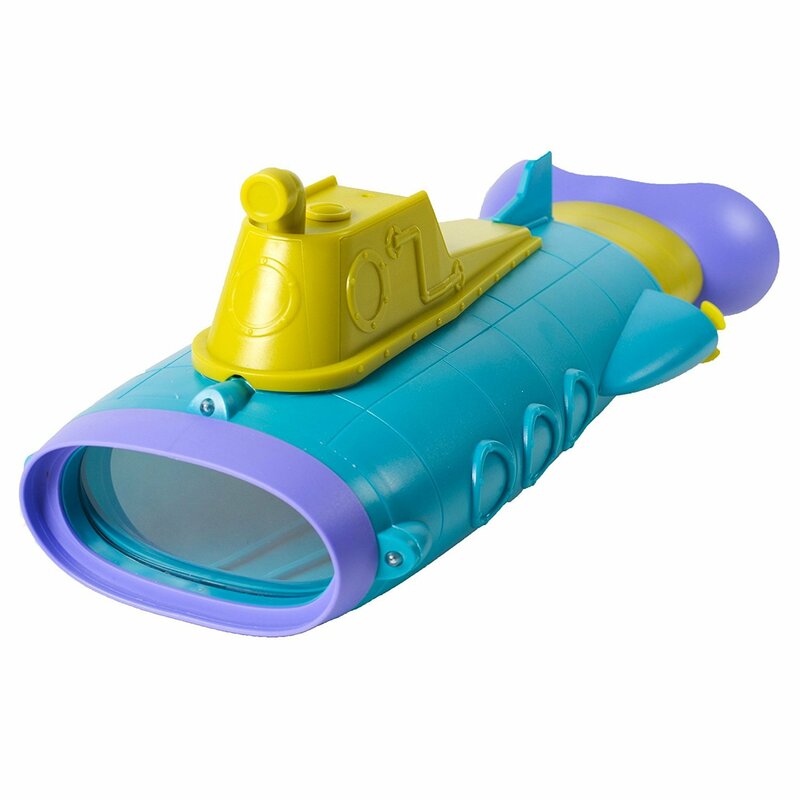 Two large eyepieces with comfy goggle and nose cut-out guide provide guidance for perfect eye placement.